This gadget combines advanced activity tracking with smartwatch features and will hit the US in November for $199.99 USD. Intel-owned Basis introduced last week their new wearable, a device simply called Peak. They describe this gadget as "the ultimate fitness and sleep tracker" that is capable of combining advanced lifestyle and activity tracking with smartwatch capabilities. 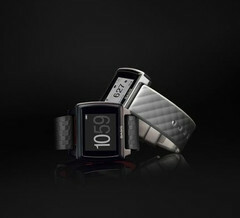 The Basis Peak wearable will hit the US market in November for a price of $199.99 USD. It will go on sale "at select retailers including Amazon, Best Buy and REI as well as mybasis.com" and will reach the UK and Canada later this year as well.